On the Border is a casual family-style restaurant which started on October of 1982 in Knox and Travis, Dallas, Texas. Three friends had a common goal in sharing Border-style food with everyone, and now they have opened several hundreds of restaurants across the United States. Their catering services which consist primarily of Mexican Cuisine offers Buffets and Party Platters. They also have affordable meals like Value Meal, Food Bowl, and Boxed Lunch. They have a range of food dishes varying from chicken, steak, seafood, and vegetables, which are prepared in numerous ways so that everyone can have the choice of food that they like. With its vibrant atmosphere, this restaurant is perfect for friends and everyone who wants to have a wonderful time over good food and drinks. If you are craving for some On the Border food, you are bound to find one near you as its branches are spread across the country. People like the food because of the fresh ingredients. Their tortillas are hand pressed and their sauces are made in small batches. Their patrons definitely appreciate the quality of their meals. You can have your events and celebrate your special occasion here. You can also have your food delivered if you have a private event. For a minimal fee, food is delivered fresh and hot. Ordering from Out of Border can be done in 3 different ways. 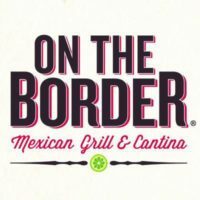 For Pick-up option, you may visit their webpage(https://catering.ontheborder.com)to determine the branch near you. On-premise dining is also available to accommodate small gatherings. Another way of ordering is through thephone. You may reach them at 1-888-OTB-CATR for orders to be delivered straight to your doorsteps. Lastly, you can pick from a variety of Catering Mealsfrom their website and choose to order online. Send them an email via catering@ontheborder.com for your orders or other inquiries. Their most popular catering item is the “Taste of the Border” Mexican Combinations, which includes mini-chimichangaswith a mix of beef or chicken, chicken fajitas, enchiladas and beef taco. Their Complete Meal Bundles and Value Meals are also favorites among their patrons. They have a large assortment of Mexican Cuisine to choose from. You can easily create your own food combination on their website. From Appetizer Buffets to Fajita Buffets you can choose from a variety of grilled chicken and steak, sautéed shrimp and pulled pork. Traditional Mexican Buffet and Party platters include Texas wings, empanadas and quesadillas with an assortment of chimichangas, burritos, tacos and fajitas. Pick-up and delivery are easy as they have many branches. Make sure to call an hour or two before your desired delivery or pick-up time. Moreover, coordinate with their specialist in advance to accommodate your large orders and requests if you have a big event.